The inspiration for this tartan was taken from the flags of the seven Celtic nations: Brittany, Cornwall, Galicia, Ireland, Isle of Man, Scotland and Wales. This is a universal tartan designed for anyone with Celtic blood flowing through their veins or anyone who simply loves Celtic culture and a bold, attractive tartan. I’m not of Celtic ancestry. Is there a tartan I can wear? Sure! The USA kilts Celtic Nations Tartan is a great option for anyone who has a mixed Celtic lineage, or none at all, or simply wants an alternative tartan. It’s a true Celtic pride tartan anyone can enjoy for any reason! 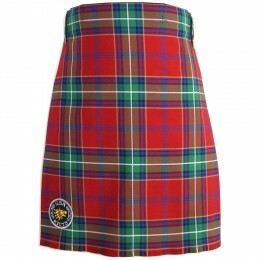 It will look great with any highland wear accessories you like including just about any color of kilt hose. How can I show off my mixed Celtic heritage in one outfit? Celtic Nations is a great place to start. 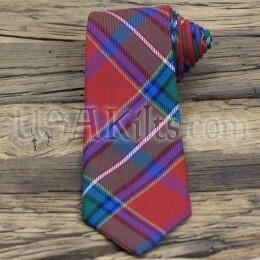 When you design a kilt package outfit, you can show pride in all the branches of your family tree by using accessories. Lots of people do this, especially when they have both an Irish side and a Scottish clan side. So for example, you could wear a Clan Crest kilt pin, and an Irish design belt buckle. Or a Welsh dragon sporran with Celtic knotwork kilt pin or a Clan Crest Plaid Brooch. There's lots of different ways to do it -- have fun! What are the Seven Celtic Nations? Sometimes called the Celtic Fringe, they are countries and regions where some form of the Gaelic language and Celtic tribal culture have persisted for centuries -- even back to the Bronze Age. These include Scotland (Alba), Ireland (Éire), Cornwall (Kernow), Brittany (Breizh), the Isle of Man (Mannin or Ellan Vannin) and Wales (Cymru). When designing a new Celtic heritage tartan, we decided to incorporate the national colors of each of these great lands. Why is it the Celtic Nations Exclusive Tartan? USA Kilts designed and registered this very special tartan. It is only available through us. We humbly ask that you avoid “knock-off” versions and enjoy the real thing made into authentic kilts by our team here in Spring City, Pennsylvania. Celtic Nations tartan is available in both PV (polyviscose) and 100% real Scottish tartan wool woven in Scotland.